I knew this day was coming: the first disaster project has made it into the FAIL pile, and you get to reap the benefits. This is how not to remove latex paint from plastic or resin. The first rule of Flip Club: Always, always, always inspect your Craigslist purchases thoroughly before buying them. 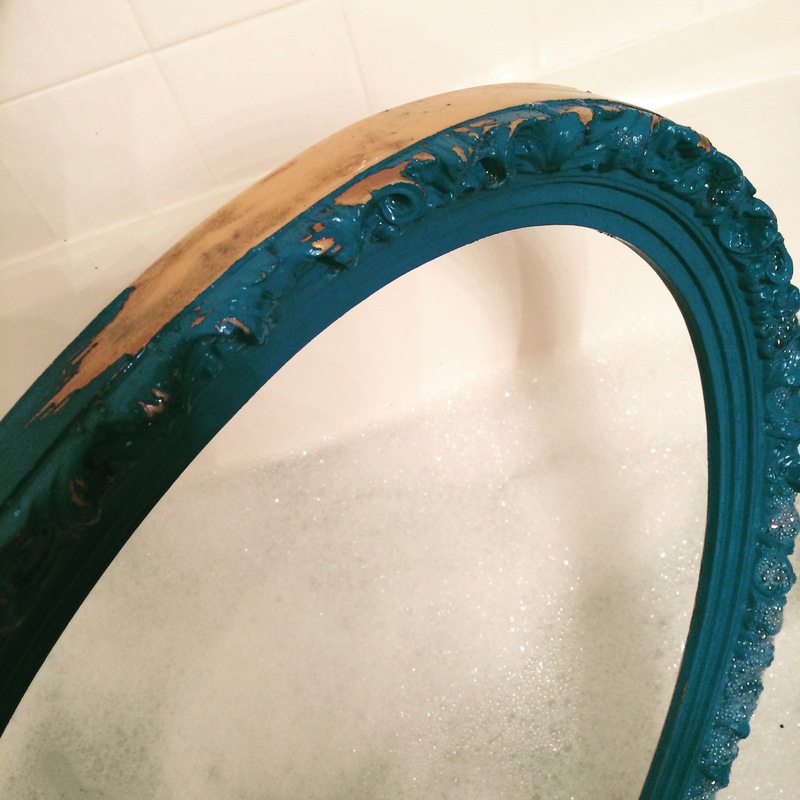 I scored this sweet resin oval mirror with the intent of turning it into a chalkboard , but when I picked it up, I discovered the deep turquoise color from the photos wasn’t original. It was a really terrible paint job by the owner. 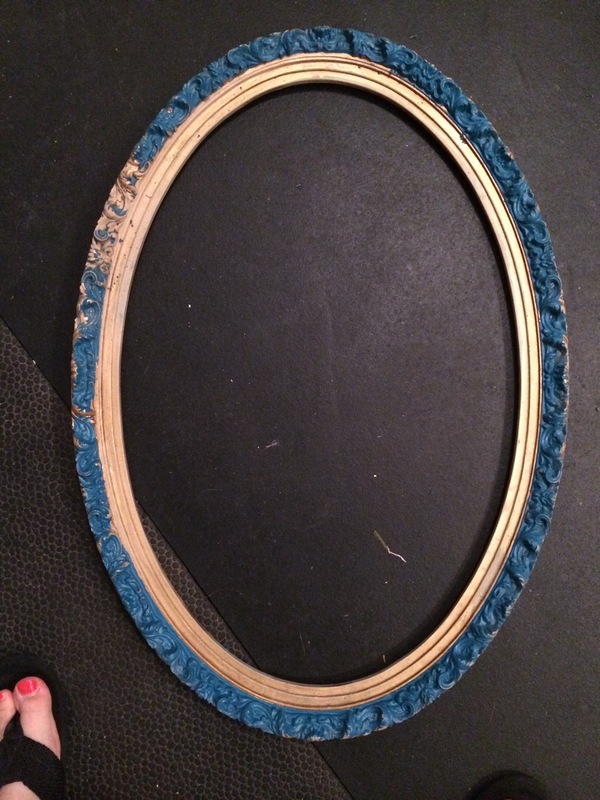 Bits of painters tape still stuck to the edges of the frame. It also wasn’t wooden as the owner claimed. It was plastic. In a hurry, I took it anyway thinking I’d figure out a work around. Wrong! I began with a little research about how to remove latex paint from plastic, and chose a solvent I had on hand: nail polisher remover and elbow grease. It worked pretty well on the smooth areas, though with a lot of effort and cotton balls! 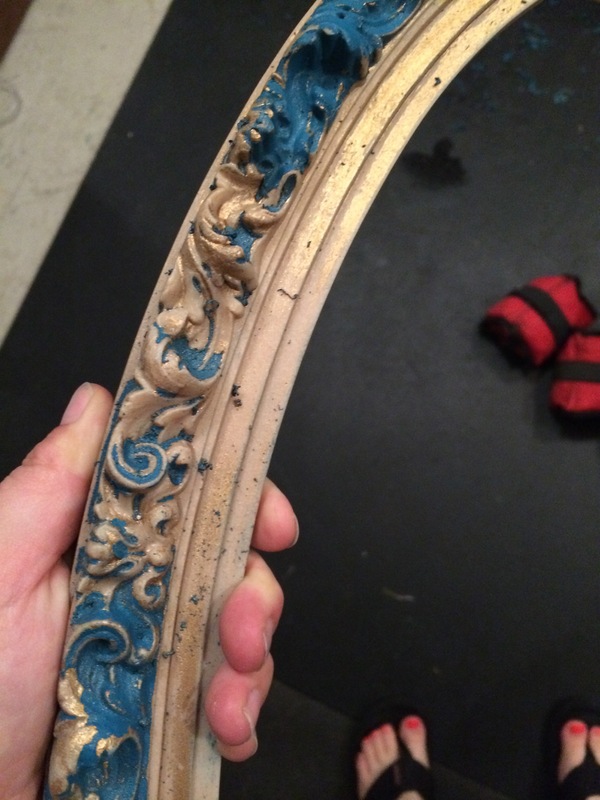 But removing the paint from the ornate detailing was nearly impossible. So, I decided to soak the frame in the nail polish remover first to see if it would make it easier to scrub the paint off the crevices. So I folded some tin foil around a large section of frame, poured in the remover and left for 15 minutes. Guess what I found when I came back. A sticky, distorted form that used to be my mirror frame. Shocked and pissed off that hours of scrubbing were now all for naught, I looked for clues about what went wrong. And there it was: acetone nail polish remover written plainly on the second bottle I had opened for the soaking experiment. I had been using non-acetone remover up until that point. In case there was any doubt as to whether or not acetone eats plastics, I can undoubtly tell you, yes, it does. Oops. Marked this one off as a big, fat FAIL.